Our client loved our creative humour with this printed glass kitchen splashback idea but wanted us to make it even more comical. After some discussions and amendments Thor, Iron-man and the Hulk sneaked into the story. What would you want us to add to yours? 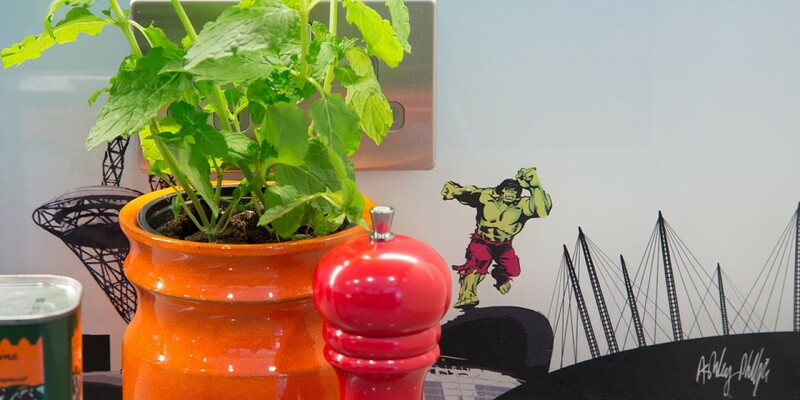 London with a Twist with Thor + the Hulk Kitchen Splashback.